This is one I did in May, before I left for Blade Show. I have to give major props to the man who commissioned this, because he is one incredibly thoughtful guy! His wife collects hippos, and their ivory anniversary (14th I think?) 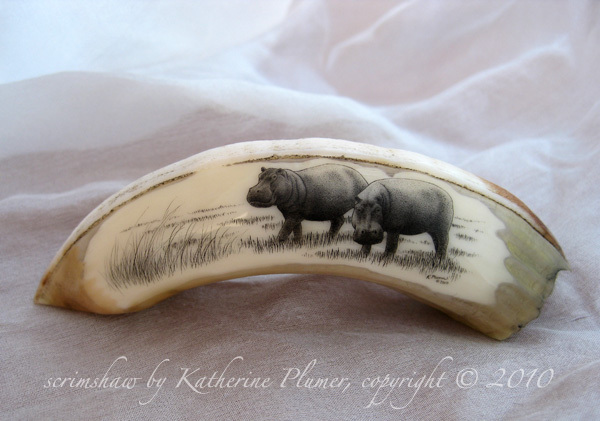 was in early June, so he wanted hippos on ivory! 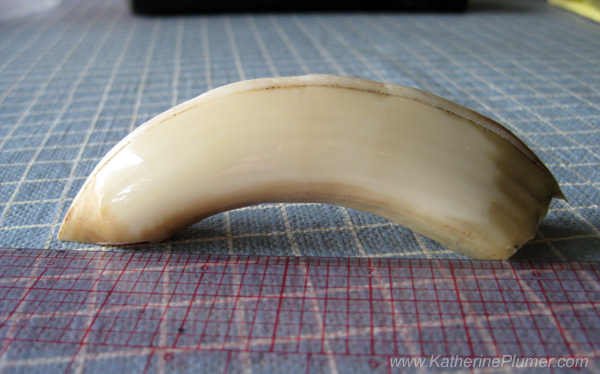 And what better type of ivory to use than hippo tusk. 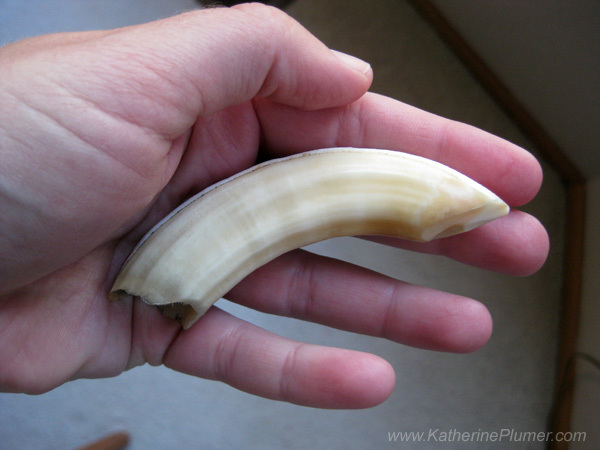 This was the first time I'd worked on hippo tusk ivory. It came to me polished and ready to go (yay!) and I had no problems with it whatsoever. It scrimmed just fine, didn't seem any harder or softer than usual. Oh yes,you did an amazing job as usual. Love the hippos! What a lovely anniversary gift. Beautiful work!